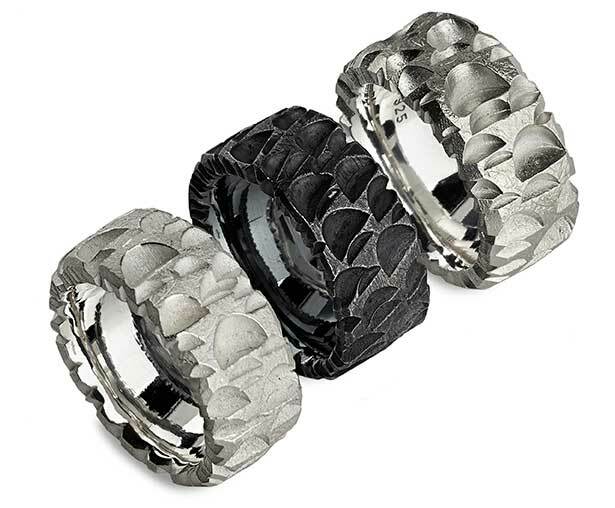 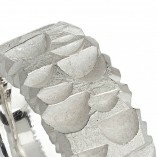 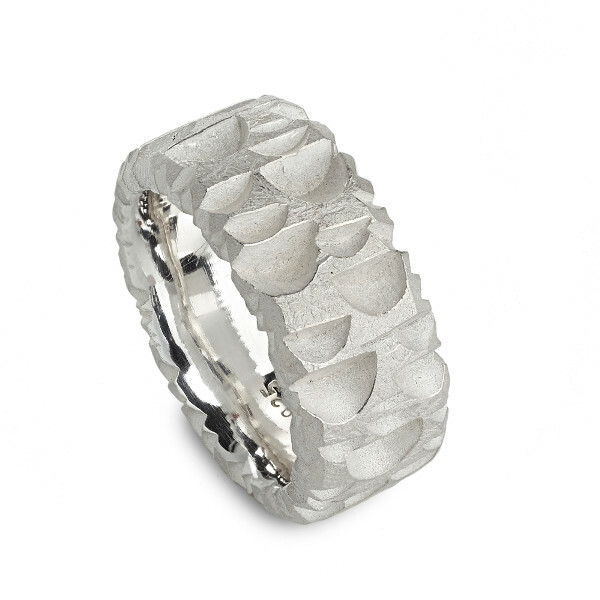 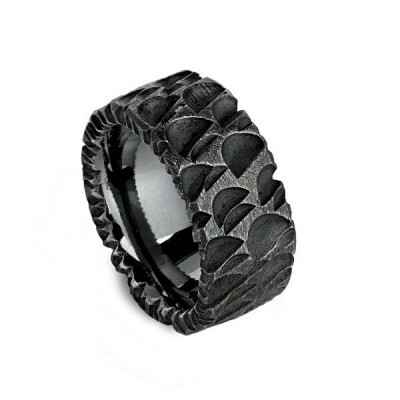 Silver Ring – Chiseled Bleached Surface ring is made of 925 sterling silver. 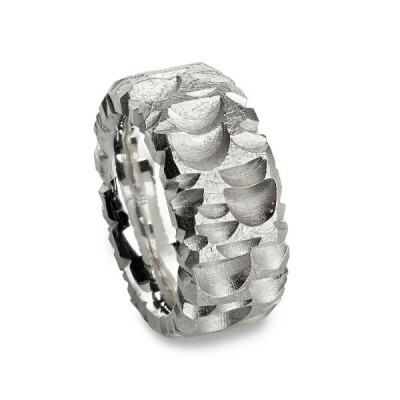 It has a beautiful and irregular surface on the outside. 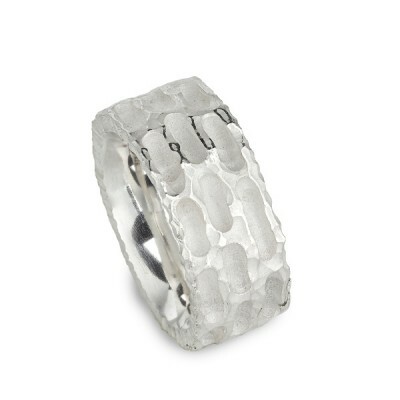 The inside of the ring is polished and curved, in order to create a very smooth and comfortable sensation on your finger. 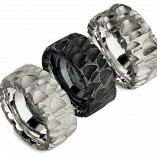 We remimd you, that every ring is handmade and slightly different from others. The ring is about 8 mm wide and weighs at least 10 grams. 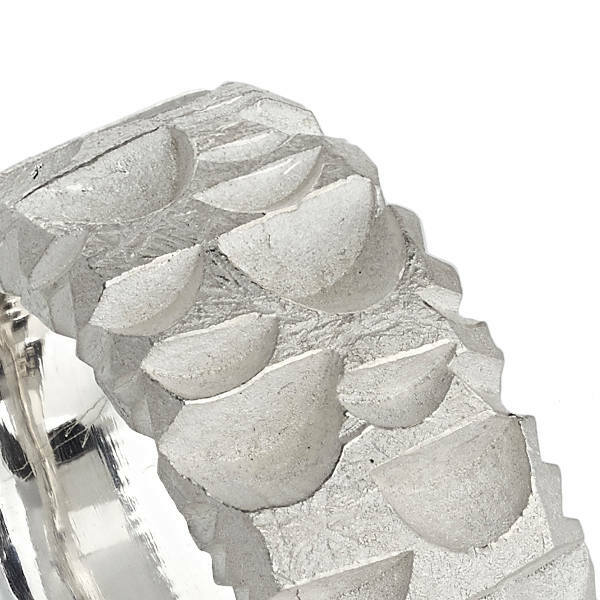 The white color was created by a special treatment of the surface.